Great Development Property! Gate way to Mount Dora! 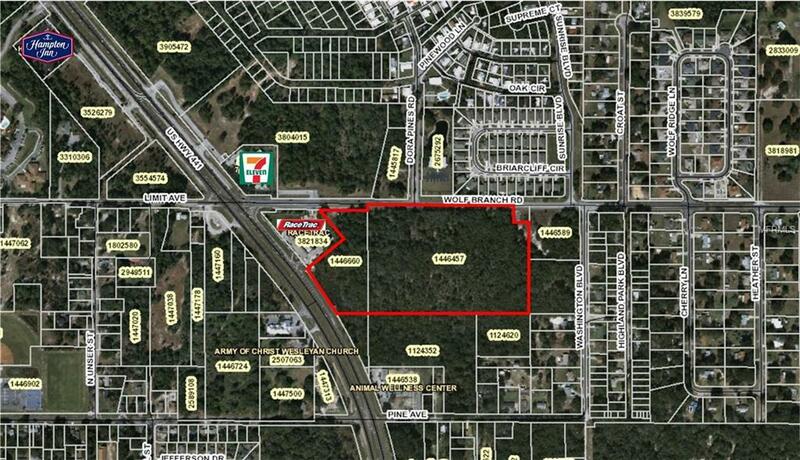 18 acres (MOL) with 320 frontage US Highway 441 and 1200 fronting on Wolf Branch Road. New 6-lane US Highway 441 to be completed soon. 41,000 traffic count on US Highway 441. Water and Sewer lines run along Wolf Branch Road. Entire property is located at one of the last premium lighted intersections not developed. Many possibilities including voluntary annexation into City of Mount Dora and work with the City of Mount Dora Development Services department. This property is in the area of the toll road expansion. Much growth is expected. Listing provided courtesy of Tyre & Taylor Commercial Realt.